Coffee Joint is a new Portland inspired cafe in the Northcenter neighborhood of Chicago specializing in organic, single origin coffee that is fresh roasted daily. “Our primary goal is to ensure quality over quantity. We feel we are giving people something special that they can look forward to. Our coffee selection is based on growing season, so there’s variety year round. It’s part of a bigger movement of gratitude and really enjoying the little things in life,” stated Gato Balodis, while talking about the launch of the new coffee shop. “We enjoy paying attention to the details One of the things that sets Coffee Joint apart is the fact that our small batch coffee is brewed in one of the best Espresso machines in the industry.” The Espresso machine used by Coffee Joint was used by the winner of 2015 World Barista Championship. “The winner of the World Barista Championship used this machine to pour his winning latte art in the esteemed competition”, Balodis beamed. “We’re proud to have it in our cafe”. In addition to staples such as lattes, macchiatos, and cappuccinos, the café also offers handcrafted sandwiches made to order, with fresh ingredients and locally sourced artisan bread. “The ingredients of our handcrafted sandwiches and pastries are directly sourced from a local family bakery. We prefer local suppliers to ensure freshest and highest quality products.”, said Gato Balodis. Other treats include locally sourced croissants and pastries to satisfy your sweet tooth and a full line of kids menu items as well. If you you’re in the mood for something cold, you can choose from menu items like cold brew, frappes and the ice cream topped coffee delight known as an affogato ; And If you can’t get enough of your Coffee Joint favorites, this neighborhood gathering place offers specialty beans to purchase for your very own cup of home brew. 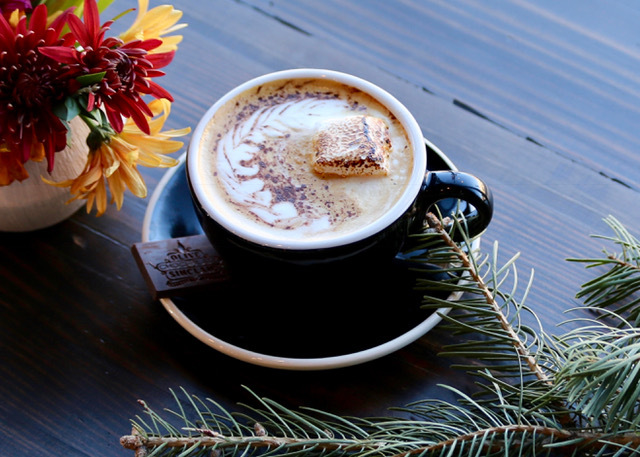 Events being held at the cafe include barista throwdowns every three months, “pop-up shop” tastings with local food entrepreneurs, and afternoon storytime for kids. Coffee Joint believes in giving back to the community. The cafe is looking forward to work with local schools to donate a portion of sales as part of its community program. For more information, please visit www.coffejoint.com.